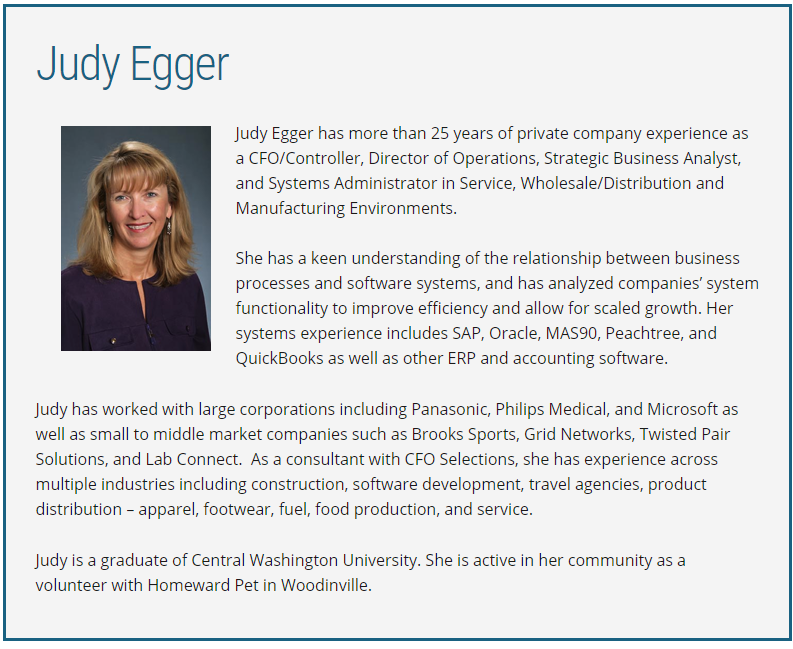 Judy Egger has more than 25 years of private company experience as a CFO/Controller, Director of Operations, Strategic Business Analyst, and Systems Administrator in Service, Wholesale/Distribution and Manufacturing Environments. She has a keen understanding of the relationship between business processes and software systems, and has analyzed companies’ system functionality to improve efficiency and allow for scaled growth. Her systems experience includes SAP, Oracle, MAS90, Peachtree, and QuickBooks as well as other ERP and accounting software. 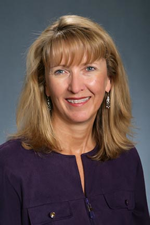 Judy has worked with large corporations including Panasonic, Philips Medical, and Microsoft as well as small to middle market companies such as Brooks Sports, Grid Networks, Twisted Pair Solutions, and Lab Connect. As a consultant with CFO Selections, she has experience across multiple industries including construction, software development, travel agencies, product distribution – apparel, footwear, fuel, food production, and service. Judy is a graduate of Central Washington University. She is active in her community as a volunteer with Homeward Pet in Woodinville.